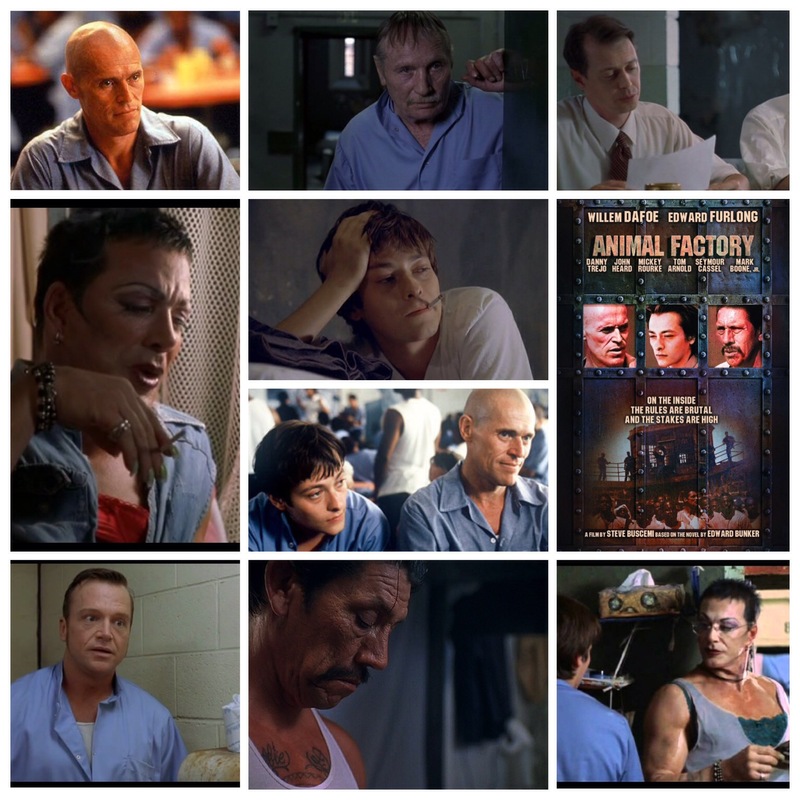 Animal Factory is a prison set film directed by actor Steve Buscemi and based on a novel and subsequent screenplay by Edward Bunker, a real life ex convict, who played Mr. Brown in Reservoir Dogs. If that sounds like an irresistible team up to make this type of thing work, you’re thinking right. And I haven’t even mentioned the epic cast yet. It’s a scrappy little film that almost takes stage play form, as we watch a plethora of raggedy and very diverse inmates navigate the difficult, tragic and often touching life of incarceration. Edward Furlong (before he ballooned out) plays a young man barely out of his teens, locked away for marijuana possession, essentially a victim of the extremely harsh system they got down there in ‘Murica. He’s a sitting duck on the inside, but receives kindness and mentorship from veteran con Earl Copen (Willem Dafoe, excellent). It’s all done in an almost Robert Altman style way; characters jump in and out, events trundle by in centrifugal motion with little regard for one solid narrative, instead choosing to arbitrarily shift focus from prisoner to prisoner, whilst periodically checking back in on Furlong, who is the closest thing to a main protagonist. The cast is wonderful: Danny Trejo shows up (another guy who has done time in real life), Tom Arnold plays a pervert sicko who preys on Furlong, and Mickey Rourke is an absolute standout as Jan The Actress, a transvestite cell mate with a peppy life lesson or two for young Furlong. Watch for Bunker himself, Seymour Cassel, Mark Boone Jr., Chris Bauer, Buscemi as a parole board member and John Heard as Furlong’s father. Bunker no doubt based much of the story on his actual prison experience, and the dedicated authenticity shines through in every aspect of the film. Buscemi is no doubt an actor’s director (being one himself), and he lets every player have their moment to shine, while always contributing to the story as a whole as well. Prison films don’t get much better than this. Not to be missed.